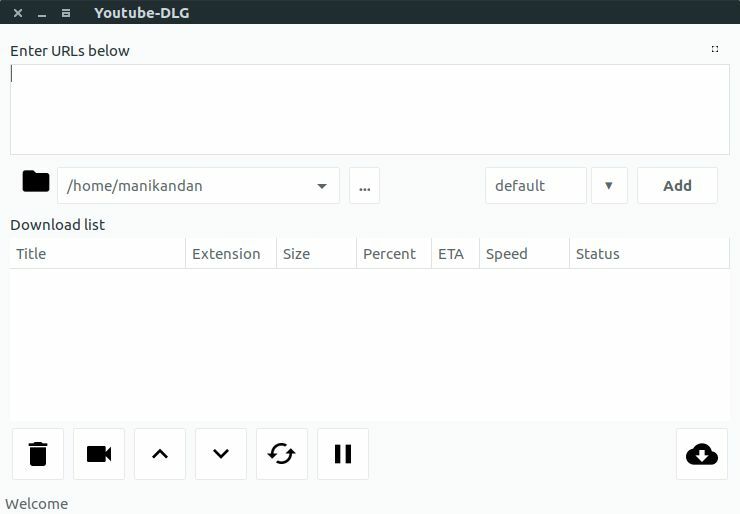 YouTube-DLG Video Downloader is a free youtube video downloader for Linux, Windows and MacOS. Its not only for youtube you can also download videos from many other sites. It is a front end of the most popular open-source CLI video downloader app YouTube-DL. It is written in Python. Open your terminal app. Type the below command and hit the enter key to add webupd8 PPA. Type your Ubuntu password. Then press the enter key. This will add the YouTube-DLG Video Downloader’s PPA on your system. Then run the below command. After that type the below command and press enter key to install YouTube-DLG Video Downloader on Ubuntu. Type Y and press the enter key to confirm the installation. After the successful installation of YouTube-DLG Video Downloader restart your ubuntu. Click the Dash home from unity launcher. And type YouTube-DL GUI in the search field. Then click YouTube-DL GUI to open it. Now enter the video download URL in the designated field and click Add button. Then click the start button to begin your download. You can also download the latest .deb package from the below link. You need Python 2.7.3+, wxPython 3 and TwoDict to install YouTube-DLG.